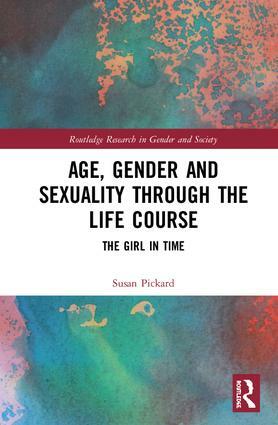 Age, Gender and Sexuality through the Life Course argues that the gendered structure of temporality (defined in the dual sense of everyday time as well as age and stage of life) is a key factor underpinning the stalling of the gender revolution. Taking as its central focus the idealised young woman who serves as the mascot of contemporary success, this book demonstrates how the celebration of the Girl is (i) representative of social mobility, educational and professional achievement; (ii) possesses diligence, docility and emotional intelligence, and (iii) displays a reassuring sexuality and youthfulness – but is constructed from the outset to have a fleetingly short life span. Pickard undertakes a theoretical and empirical exploration of the contemporary female experience of education, work, motherhood, sexuality, the challenge of having-it-all. Furthermore, through additional analysis of the transitional ‘reproductive regime’ from youth into mid-life and beyond, this insightful monograph aims to demonstrate how age and time set very clear limits to what is possible and desirable for the female self; yet how the latter factors also, if used reflexively, can provide the key means of resisting and challenging patriarchy. This book is aimed at a broad interdisciplinary audience located in gender studies, age studies, culture studies, sociology and psychology; accessible for advanced undergraduates and beyond. Is equality simply a façade behind which men and women’s experiences of temporality remain distinct? By working through women’s lives – from the Girl to the Menopausal Woman – Susan Pickard’s book addresses this question, and in so doing brings into focus both the opportunities and the costs of their unique temporal awareness. Even though she contends that temporal inequalities, intertwined with sexuality, gender and age, have not decreased in recent years, Pickard’s vision is far from pessimistic: women’s voices and subjectivities cannot be silenced, and a temporal analysis gives them visibility. Pickard constructs a rigorous narration of the relation between women and time in the everyday as well as across the life-course, making use of a variety of genres: sociological analysis supported by empirical data, feminist theories, but also novels, films and fiction. She ultimately produces a really enjoyable book. This book provides a fascinating and innovative exploration of the interconnections between gender and temporality. It convincingly shows how constructions of femininity, epitomised in the figure of ‘the Girl’, are essentially time limited and act to constrain women. Encouragingly, it also opens up the possibility of challenging these constraints and moving to a fairer, more equal – and more androgynous – society. Susan Pickard is Reader in Sociology in the Department of Sociology, Social Policy and Criminology, University of Liverpool, UK.